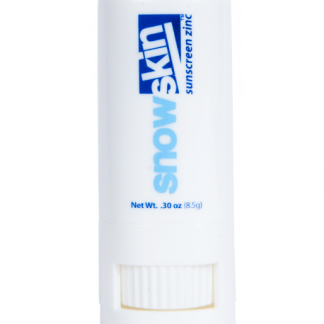 View cart “Snowskin Sunscreen SPF 30 8.5g Lipbalm Stick” has been added to your cart. 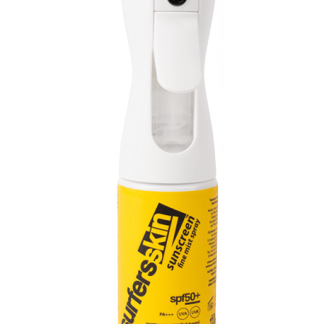 Snowskin Sunscreen SPF 30 40ml is an ultra performance water resistant sunscreen and is specifically designed for use in extreme alpine conditions. No matter how much you sweat, it’s non greasy, sweat resistant formula won’t run into your eyes, leaving you free to focus on what really matters – hitting the slopes! This product has been designed specifically to give protection in the water for 2 hours or more. The skin is powerfully nourished and moisturised by award winning creams rich in world renowned Manuka Honey and Aloe Vera. With being anti UVA, UVB and a Broad Spectrum, PABA Free sunscreen, Snowskin helps keep your “Skinalive”. Vitamin E is one of the primary anti-oxidants used in Snowskin. This combined with UVA/UVB Broad Spectrum sunscreen in Snowskin assists in preserving the skin’s barrier function which helps to maintain over all skin health. Vitamin A is a great anti-aging nutrient. When combined with UVA/UVB Broad Spectrum in Snowskin sunscreen your skin re builds and rejuvenates – keeping lines, wrinkles, dull skin and other anti ageing symptoms at bay. Aloe Vera is renowned for its many medicinal benefits. Combined with UVA/UVB Broad Spectrum sunscreen in Snowskin it helps to increase the strength and synthesis of the skin tissue making it a vital ingredient in Snowskin sunscreen. We sell waterproof and sweatproof skincare products to protect you in your ourdoor pursuits.